Cassava Enterprises is an online transactions company which provides payment services for online bingo sites. The company is owned by 888 Holdings and the group manages the payments of many bingo sites, including all 888Holdings and Dragonfish sites. 2 Who are Cassava and What do they Do? 3 Is there Anything that Makes Cassava Sites Unique? 4 Which Bonuses and Games do they Usually Offer? We always recommend that our readers check the T&Cs of these sites before they play. Who are Cassava and What do they Do? This company is licensed and regulated in Gibraltar and it runs the operational business of 888 holdings. 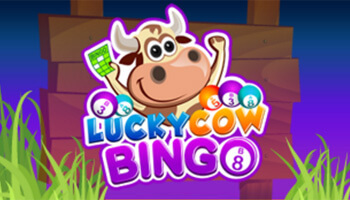 Unlike many bingo networks, Cassava actually owns its own gaming license. This means that Cassava Enterprises offers online gaming services, along with the payment processing services and other license services. Bingo sites not run by Cassava must acquire their licenses through different means. Cassava provides services for depositing and withdrawing money to and from bingo sites and also acts as a management business for 888Holdings. They assist the various sites with licensing issues in a number of different jurisdictions. They also act as a middle man between the various software providers in order to ensure the smooth work flow and integration between the different software. They have a significant amount of experience in the industry to help with all operational tasks. In the majority of cases when playing on a Cassava site, the payment will be displayed as coming from or going to Cassava Enterprises, as opposed to the bingo site itself. Is there Anything that Makes Cassava Sites Unique? Dealing directly with the company processing your payments instead of a subsidiary. A huge network of different sites to play on. Helpful processes for anything concerning banking or bonuses. In short, there are loads of Cassava sites for you to choose from and you will benefit from having a quality management firm taking care of operations. This is worth a lot, as you won’t need to worry about how reputable they are or how they protect your details. Which Bonuses and Games do they Usually Offer? It’s rare to find no deposit bonuses on these sites but some do exist out there. 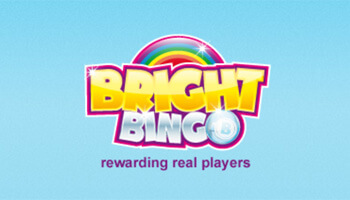 On the whole, these bingo sites tend to offer a higher welcome package to make up for it. The exact amount varies from site to site though. You’ll always find loyalty rewards on these sites, as they’re committed to rewarding their players. Generally they send out these bonuses every month via email and you can climb the levels by wagering more. Cassava sites can also have their own unique bonuses added into the bevvy of jackpot games and promos. Seasonal promotions are common and usually focus on holidays, national days and events. Bingo Games – A full lobby of 75 and 90 ball games await you on these sites, with action packed jackpots. They also offer High 5 bingo, which is even speedier to play. 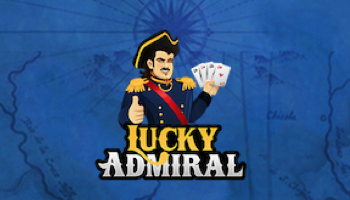 White Wizard – One of the original slot games on the internet, this one still attracts players to this day. Become the magician’s apprentice and journey on your way to some serious treasure. Millionaire Genie – This massive progressive jackpot game is infamous as its jackpot can be won at any time. The trigger is random and the jackpot can reach millions, you can tell why players want to spin on this game. Gonzo’s Quest – Join the quest to find the City of Gold with your very own conquistador guide. This slot game is full of hidden features that you can unlock in an instant. 888, the holding company behind Cassava, were given out a record fine in 2017. They were found to have been failing their players by not properly providing a self exclusion option.  This came down to their implementation, as a lack of proper regulation meant that some players that had excluded were still allowed to access their accounts. They’d also been warned over the fact that some players had been allowed to spend millions, before security checks were involved. Overall, this has been some substantial bad press, alongside a £7.8 million fine, which means we may see quite a bit changing on Cassava sites in the future. Self exclusion basically allows problem gamblers to say they want a break, they specify a time and then they can’t access the site until this period of time has passed. Obviously, this is a valuable tool for responsible gamblers and the fact it wasn’t working properly was a major issue. Improved Self Exclusion – This is a no brainer following the fine, as 888 will really need to pull their socks up. They may launch a networked self exclusion and have better checks on players. Basically, we expect them to become a much more socially responsible operator in future. New Lobbies – Cassava bingo sites tend to change up their lobbies every few years. We’re expecting new cassava bingo sites 2018 lobbies to get a bit of an update as they’re past due. This could strip down the software a bit so it’s faster loading for players, as this has been done recently by other software providers. Different Bonuses – As the industry as a whole changes, we’ll still see more changes coming to bonuses on Cassava sites. We’ll see more free bingo and tickets, as opposed to percentage based bonuses that would qualify for the tax. This will occur within welcome offers, reloads and even within their VIP schemes. More Slots – As these games are released, Cassava sites are really quick to snap them up as they know their players are eager for them. As this is such a casino giant, they can have them all lined up and ready to go as soon as the game launches. There are already hundreds of games on these sites, but this will just increase over time. Players on Cassava sites are well and truly spoiled for choice, as they simply have so much at their disposal. 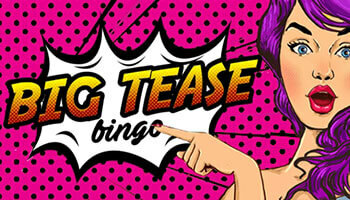 Whether you’re snapping up bonuses, playing some bingo or spinning slots – you’ll be having an amazing time.